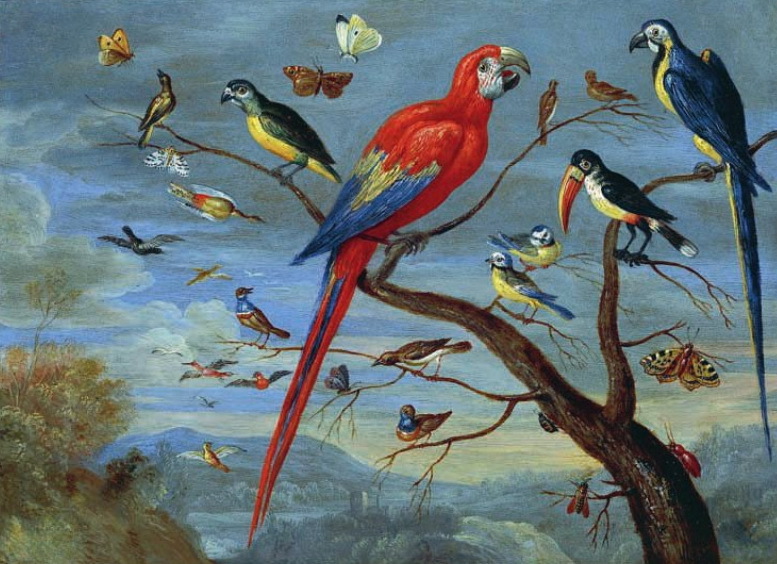 …or perhaps you are stuck at home by pollen, or some volcanic dust-cloud or another, you could surf over to the TEFAF site and browse through their 2010 catalog. It’s not as good as the real thing — really, all these website designers seem to have but one object in mind — to show us just how much the internet will never come close to the real thing — but, as far as internet resources go, it is still pretty good — and the experience of flipping pages to the sound of their paper rustling is a lot of fun — and earned them my 50 euros for the hard copy. Have fun and — join me at TEFAF next spring. And speaking of Sotheby’s, their website makes for a pleasant afternoon of browsing. Consider, for example, this: the record of a recent auction 0f Islamic art, with items conveniently arranged according to results. It loads quickly and images are reasonably large — even if the zoom function seems purposely designed to irritate. The price information — estimates and hammer prices — is especially interesting — because, of course, it is entirely missing from any museum display. 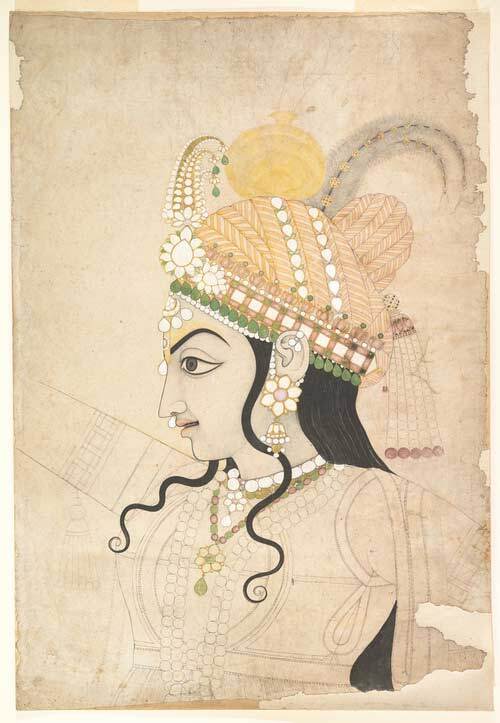 Some prices are quite surprising: anything to do with Tipu Sultan seems to command a price unrelated to its artistic value — or its previous results — a recently made South Indian billionaire at work? (Though, of course, it would take at least two billionaires to drive up prices). Iznik tiles and Persian velvets are extremely expensive categories — and have been for some time, totally out of whack with other equally pleasing categories. Loose leaves from illuminated manuscripts continue to fetch more per page than bound books, so the ripping up and dispersal of books in order to unlock value continues. 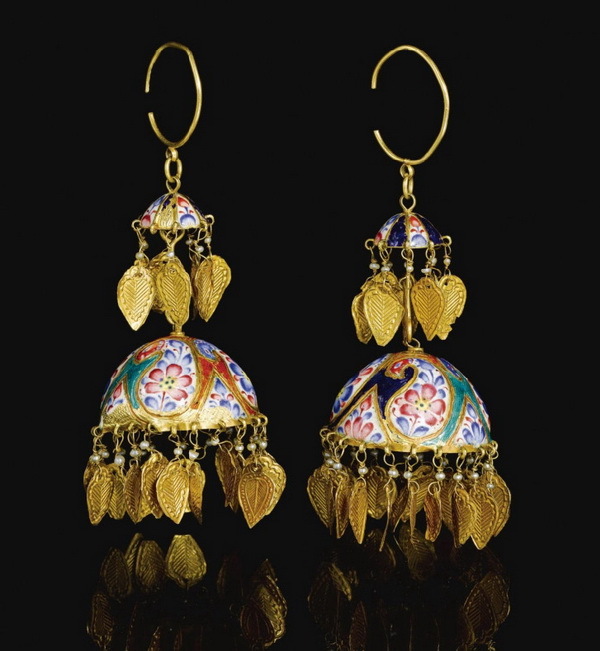 And the star lot — the Ottoman box — in which a pair of gem scales were once housed — is certainly very beautiful, but its price seems completely out of whack with other prices at the auction. This should not surprise: the love of jewelry is a far greater passion than the love of books! (The fellow above, in the same collection, is thought to be a Krshna). You are of course religiously reading art.view, are you not? Articles like this one, concerning the heated nationalist debate between the English and the Germans regarding who was the first one in Europe to reproduce (copy? monkey? knock-off? — do we really want to be proud of this?) Chinese porcelain. Or this one, about the Chinese provincial nouveaux riches going out in force to buy back Chinese art treasures now in the West — which has had a phenomenal inflationary impact on prices. 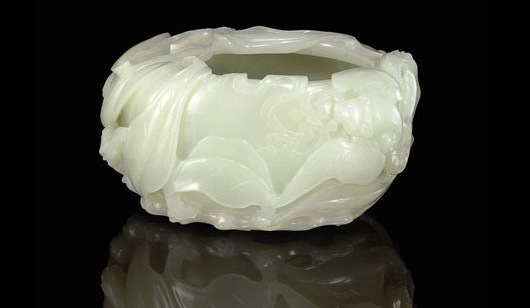 The treasures are great, no doubt about it, but should this beautiful jade brush washer really fetch $900K? $900K? Holy cow, you could have had this thing for maybe $20K at most only two Decembers ago! Good grief am I glad to have locked in some Ming cloisonne when the going was still cheap (ish)! And — what difference does 24 months make! (About 4500% to be precise). 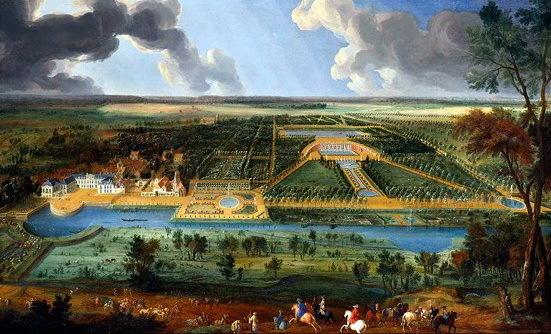 a panorama of a visit by Louis XIV to the chateau of Juissy, which a dealer found and bought at a provincial auction for $70K, grimy with soot, only to restore it, re-attribute it and — flip it for a 1200% profit. My, my. Hardly ever anything as exciting on the financial pages, you know. Smart operators who went into Ford debt at 14 cents 18 months ago only made 600%. And how often does that happen? And when it happens, is there even a quarter as much pleasure in it? Or even a tenth?